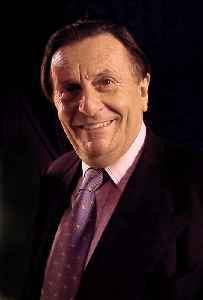 John Barry Humphries, is an Australian comedian, actor, satirist, artist, and author. He is best known for writing and playing his on-stage and television alter egos Dame Edna Everage and Sir Les Patterson. He is also a film producer and script writer, a star of London's West End musical theatre, an award-winning writer, and an accomplished landscape painter. For his delivery of dadaist and absurdist humour to millions, biographer Anne Pender described Humphries in 2010 as not only "the most significant theatrical figure of our time … [but] the most significant comedian to emerge since Charlie Chaplin".